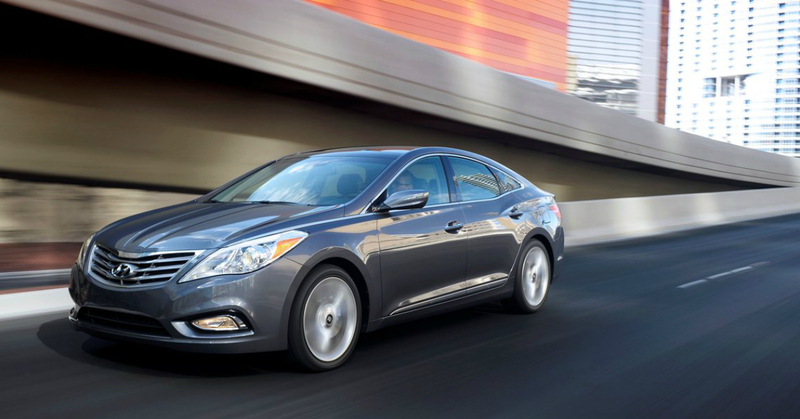 The 2014 Hyundai Azera comes in as a very sporty sedan that offers a comfortable ride with a wide array of premium equipment and a very stylish appearance. Offering power and fuel efficiency along with a price tag that is a lot less than most cars in this class. Competing in a class that includes the Toyota Avalon and Nissan Maxima the Azera stands out with much better equipment, more comfortable seats, and a good amount of electronics to make the drive even more enjoyable. Anyone who needs a great car for a daily commuter or errand runner should check out the Azera to fit the bill in comfort and sporty style. With a roomy and stylish interior, the Azera offers comfort for all occupants to enjoy. Add to that the ten year/100,000 mile power train warranty that is included for all Hyundai vehicles and the Azera is a great vehicle to own. Adding a six-inch color LCD display, a rearview camera, and a driver’s blind spot mirror as new features for the 2014 model year, Hyundai has added some great features to the Azera for driver’s to enjoy. When selecting the Limited trim level, an eight-inch touchscreen navigation system and power folding side mirrors are installed.